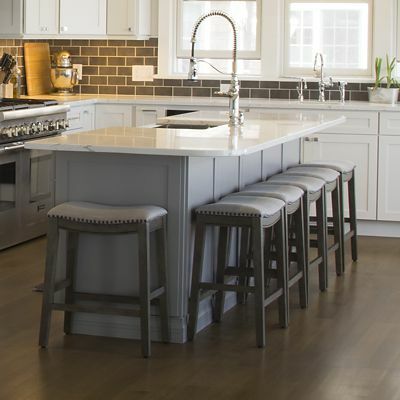 With over 10 years of experience in kitchen and bathroom design, Mary Jane likes getting to know people, what they’re looking for in a renovation, and then guiding them through the many choices that need to be made. 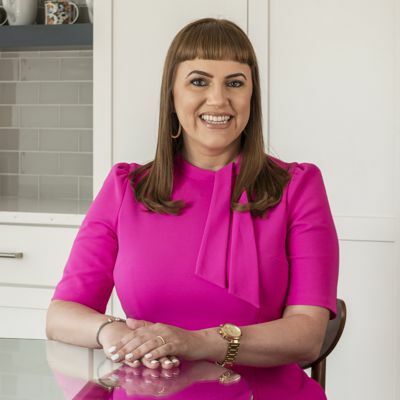 She grew up in Wickford, Rhode Island in a house that was built in 1750, so she naturally has an appreciation for historical architecture and antiques. She enjoys the fusion of old and new in design, as well as modern. Mary Jane enjoys getting to work with different styles, as she works to bring the uniqueness of individual clients to the right design for them. Her strong work ethic is balanced with cooking and gardening in her free time. 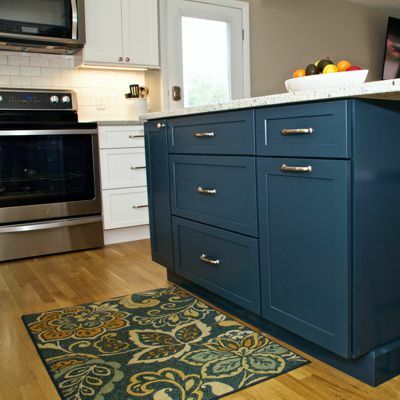 The homeowners wanted a light, bright kitchen with more storage space, countertop space, and a place for four to sit and eat. So we removed the wall between the kitchen and living room and installed a load bearing beam to open up that space. 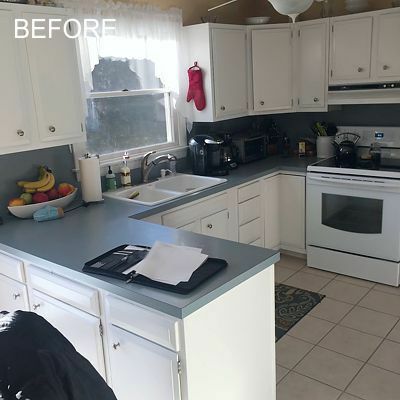 They were kind enough to provide "Before" pictures (shown in the next section) so you can better appreciate the transformation in the "After" pictures. After considering several options, the homeowners ultimately chose my suggestion and we removed the slider and installed a single French-style door. 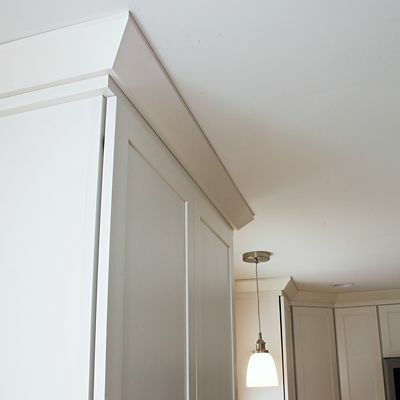 This brought in natural light and allowed a 36" wide, tall pantry cabinet (with roll out trays for easy access) to be installed next to the full-depth refrigerator against the wall. Instead of the old peninsula layout, a modern island opens up the flow. 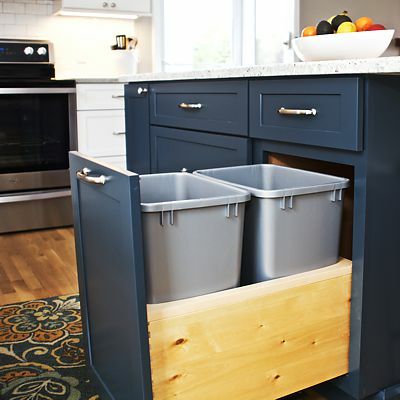 Usefulness was improved with pull-out trash, deep drawer base cabinets for pots and pans, and a tray divider cabinet. 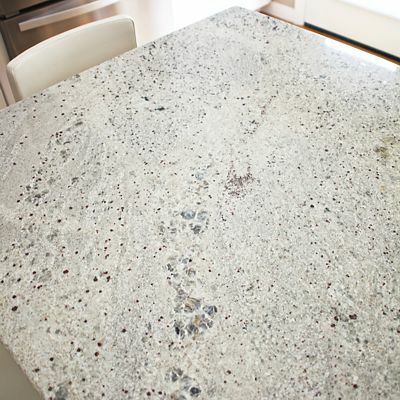 Plus the island provides casual seating for four that better fits their lifestyle. 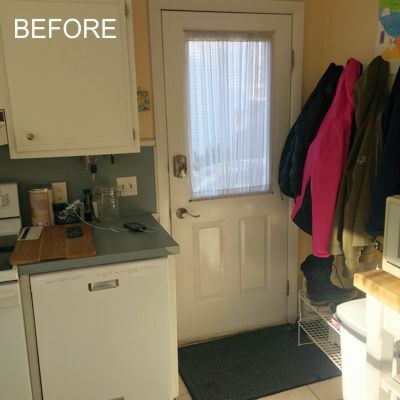 The dishwasher was relocated next to the sink, and to save countertop space, we installed a microwave hood and vented it outside. The side door was replaced with a matching French-style door, in addition to the wall being removed, bringing more light into the living room area. 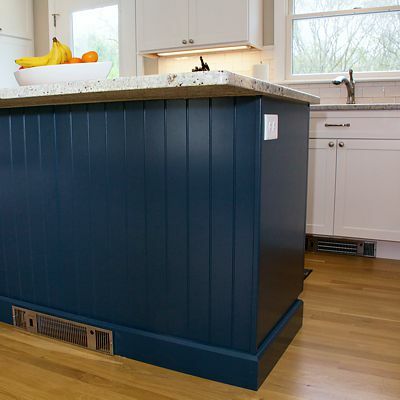 A banquette of cabinets topped with granite was added in the living room for additional storage (where a small table is shown in the "before" pictures). 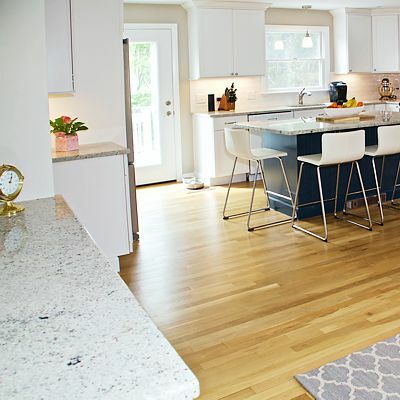 All of these design choices make the living room and kitchen truly feel like one big open space. 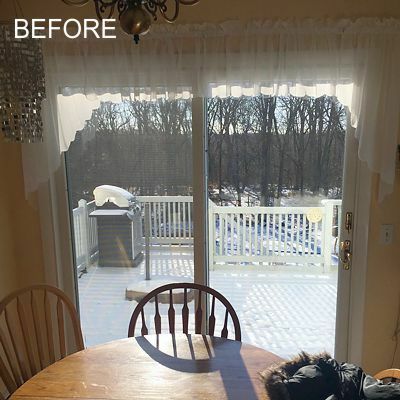 South Kingstown, RI - "Before"
The homeowners were kind enough to provide these four "Before" pictures so you can better appreciate the transformation in the "After" pictures. 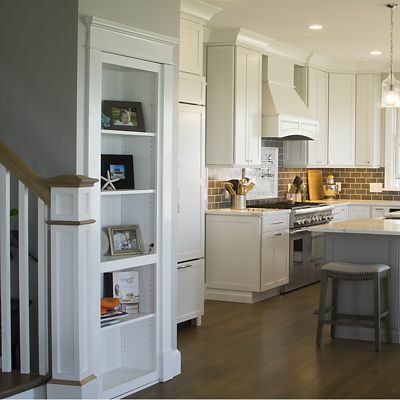 This is a typical Cape Cod style home where the kitchen and living areas were separated by a wall. The homeowners felt the living room was cut-off and lacked enough natural light. Dinner preparations left the cook isolated from the family. The dishwasher was next to the stove, not next to the sink, which would make more sense. The refrigerator was just sitting against a wall with a microwave on a cart next to it. The hood vent over the stove did not vent outside, it just recirculated. 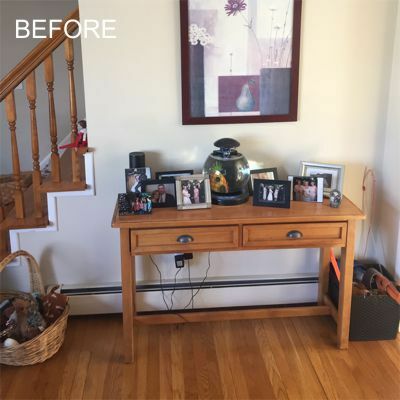 There's a picture of a table against a wall in the living room near the staircase, which now has a banquette of cabinets for more storage. Don't take down any walls before talking to a designer! 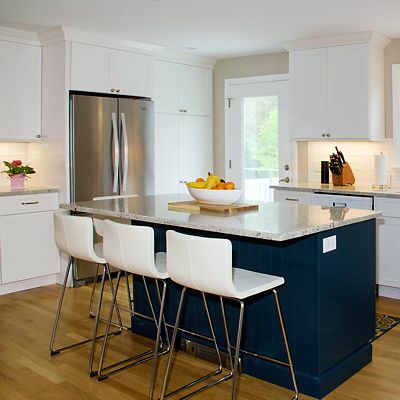 Remodeling is very different from new construction and structural changes need careful planning. 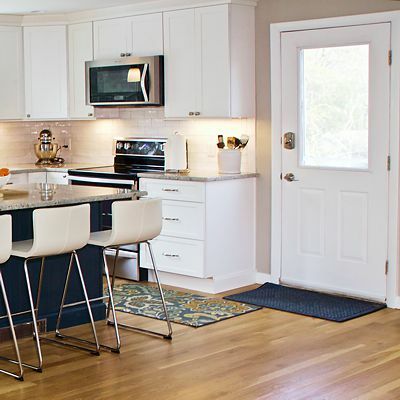 Don't gut your kitchen before having a plan to rebuild it. If you've watched any home improvement shows, you know that sometimes unforeseen problems are discovered. An expert will know how to resolve any issues that are found. Natural light enhances use of a space and impacts the décor. 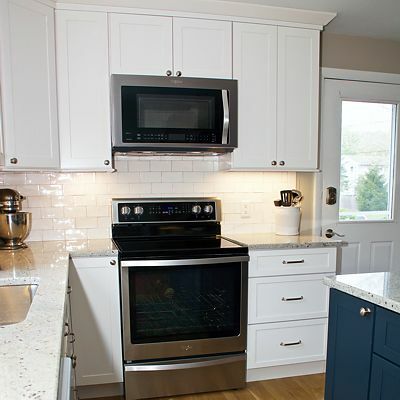 Are there specific new appliances you want to include? 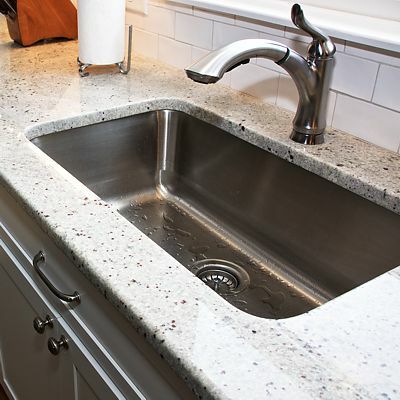 Sizes vary and their placement needs to be planned so you have them in the right places to make daily chores easier. This is where having an expert to guide you will really pay off in the long run. Think about your purpose in renovating your home. Do you want a stylish update? Do you want a layout that works better for you? Are you looking for more storage? Everyone has their own priorities, so it's important to discuss these ideas and include them in the design. New construction will benefit from the involvement of a designer in addition to the architectural plans. While it can appear to be a blank slate for whatever you want to do, it's easier to make design changes before the building begins. Making changes later will cost more, and you want every dollar to be spent wisely. Sometimes a tweak to the plans can be recommended by a designer that improves the layout for your specific needs and desires. 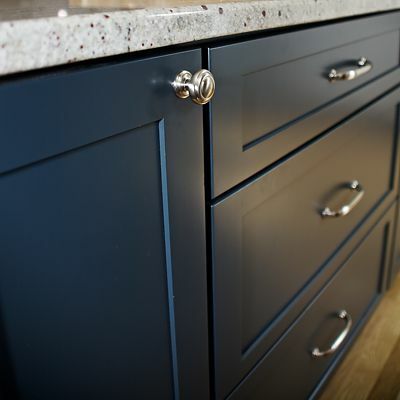 Prepare with research, gathering ideas of the style you prefer, colors, finishes, and storage accessories for inside cabinets. Some people like to clip photos and information out of magazines, others prefer to search online in places such as HOUZZ and collect photos in Pinterest. 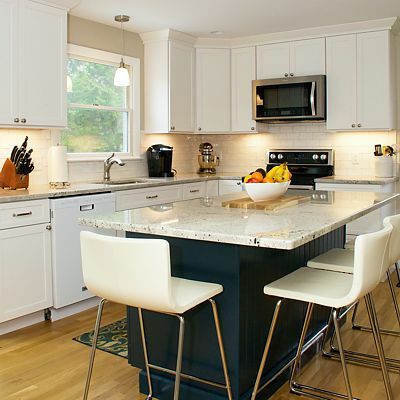 Kitchen Views has many design ideas for you to explore on this website. Gathering these ideas of what you want will be a great help when you work with a designer. If you plan to stay in your home for many years, let your uniqueness as an individual be seen in your choices of style and finishes. 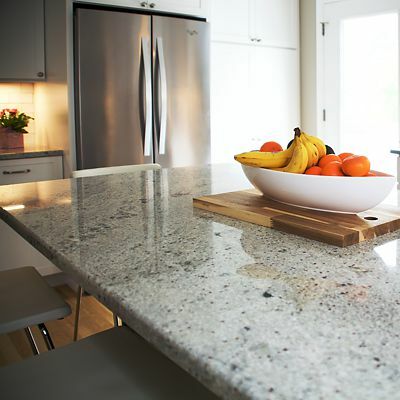 This is a major investment, so it should fulfill your long awaited dreams for your home. FAVORITE QUOTE: "Good design is a mix of beautiful shapes and clever solutions to functional problems." I read that in Architectural Digest and it has guided my design philosophy and career. FAVORITE PASTIME: Relaxing at the beach in summer, and enjoying nature with the process of the seasons all year. 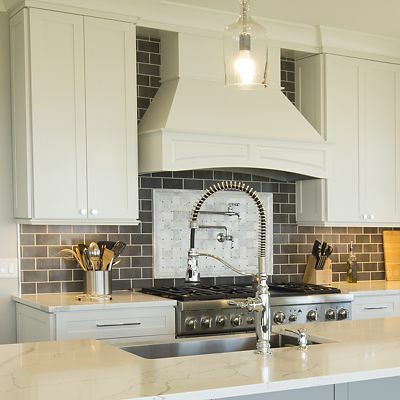 Most recently Mary Jane was with Kitchen Countertop Center NE for five years, where she worked on kitchen design for residences and multi-units. 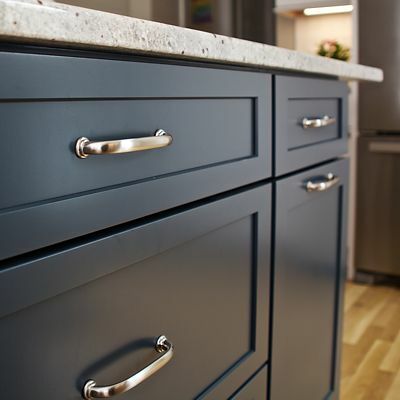 Her work included The Commons at Providence Station, residential apartments designed on trend with slab style cabinetry in white and gray. Another multi-unit project was contemporary cabinetry design for Boston University dormitories on Commonwealth Ave, Boston. 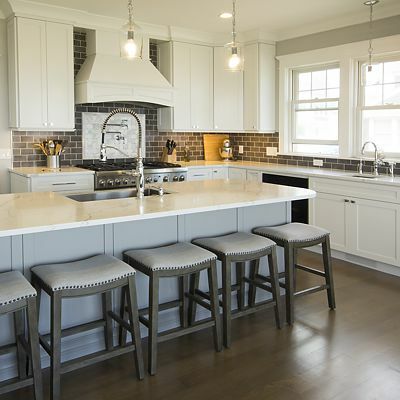 She also worked with contractors on the Naval Base Residences in Groton, CT.
From her time with Home Depot, she has experience selling cabinetry with kitchen design, plus other home finishes to both homeowners and contractors.